Brewgrass: where toe-tappin’ music meets tasty brews! Just $10 for 8 hours of music! 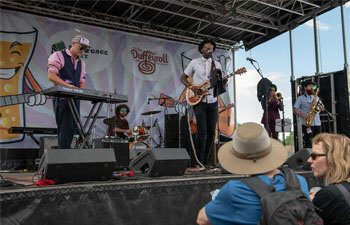 What do you get when you mix a warm summer afternoon, ice-cold craft beers, and some fun, funky music? BrewGrass on South Pearl St, presented by Swallow Hill Music. We’ll make sure your toes stay tapping to some top notch music — this year’s lineup features Gasoline Lollipops, Hot Buttered Rum, Wood Belly, and more. All for just $10/$8 advance! 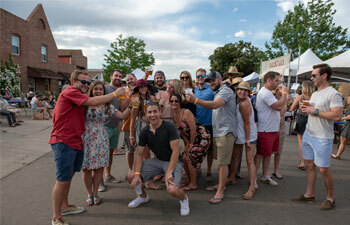 8 hours of incredible music, pours from Colorado-based breweries, and tasty eats make this the place to be! Gasoline Lollipops, Hot Buttered Rum, Wood Belly, Mark Lavengood, Rainbow Girls, Thunder and Rain and more!